We took a recent road trip to Lake View Cemetery in Cleveland, Ohio. There are so many stunning headstones in this cemetery! I’m sharing a new video series “Walking Through Cemeteries” available on my YouTube channel. Be sure to subscribe so you don’t miss them! 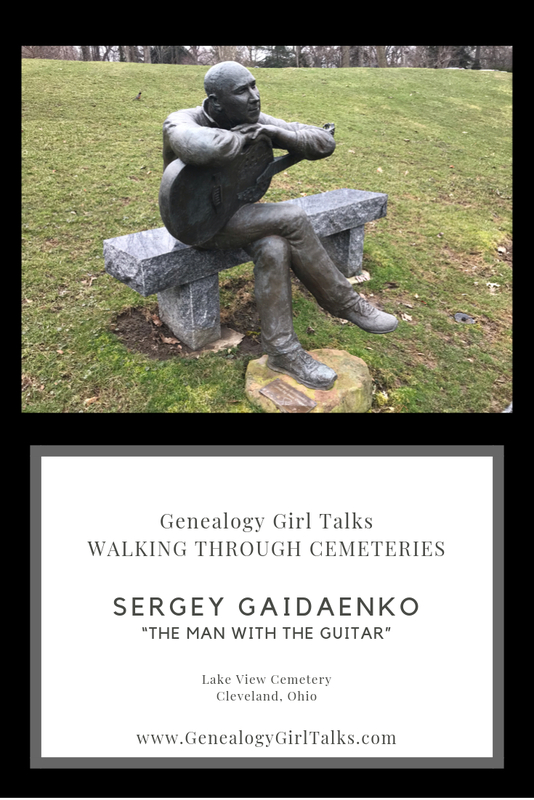 This headstone, known to many as “the man with the guitar,” is Sergey Gaidaenko (1963 - 2010) who lived in South Euclid, Ohio. 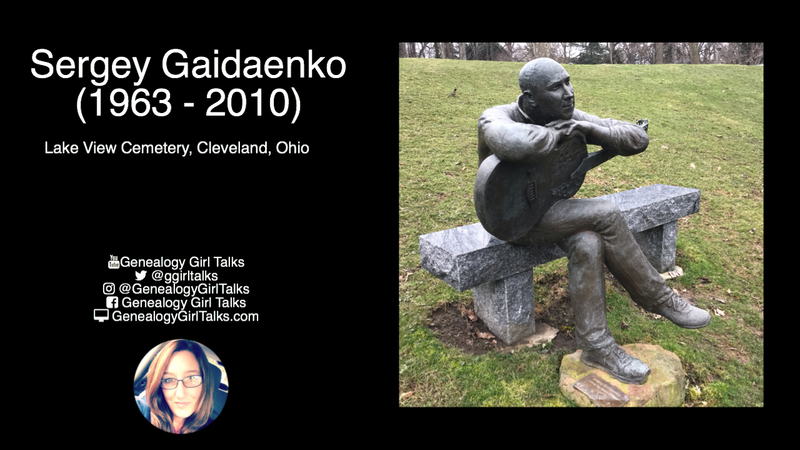 It is also said that his wife commissioned a “likeness of him sitting in his favorite chair.” He was sculpted by Ivan Grigoriev.